There is more to living than simply not dying. Quality of life means everything. Home dialysis therapy allows people with advanced kidney disease to be independent and to eat and drink more of what they like. We provide comprehensive and compassionate care that will help you live life to the fullest. When provided with comprehensive treatment options education, 50% of new patients choose home dialysis. Quality-of-life surveys consistently support the advantages of home dialysis as compared to in-center hemodialysis. 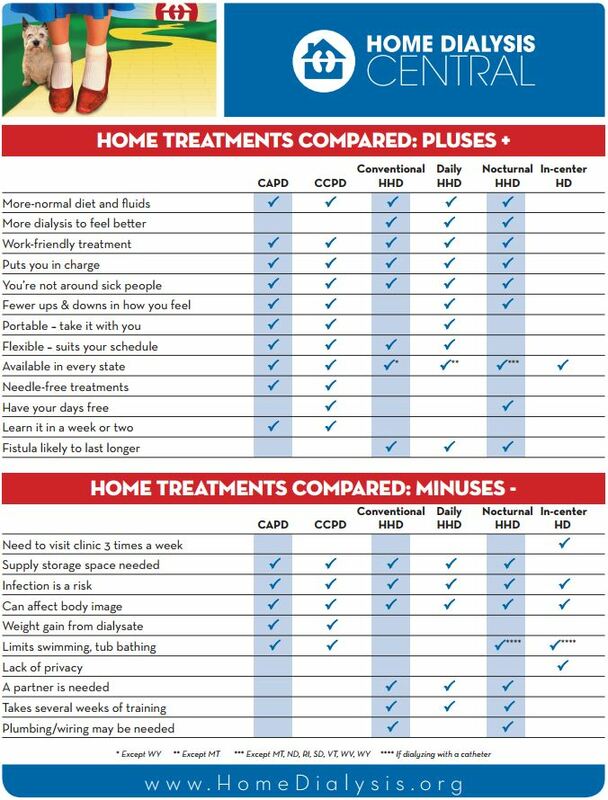 Home dialysis allows patients the flexibility to dialyze at their convenience. Greater control of time enables patients to schedule dialysis around work, family, and other obligations. Reduced travel time is another important benefit, especially in the era of high gas prices and for those who live far from a dialysis center. It is much easier to visit a clinic once or twice a month than to go to a dialysis center three times a week on a fixed schedule. Home Dialysis Therapies of San Diego firmly believes that every patient needs to be educated about their dialysis treatment options in order to achieve the best possible quality of life. This is a personal decision and that is why we provide “one-on-one” dialysis options education. For additional support on choosing a treatment, we recommend visiting the non-profit MyDialysisChoice.org to utilize their online “My Life, My Dialysis Choice” tool. Just scroll down on their page and click the Get Started link. Will your work schedule or home responsibilities have to change to accommodate your dialysis treatment? Do you want to be in control of your treatment, with better understanding of the dialysis process or do you want someone to do it for you? How far will you have to travel to a dialysis facility? Do you want to visit the facility one to two times per month or three times per week? As an additional resource, we recommend visiting The Kidney School. “People with kidney disease can live long and live well. Learn about your role in helping yourself or your loved one to stay as healthy as possible in this introduction to The Kidney School.” There are several modules and downloads available. Contact Us now to schedule a one-on-one consultation to help you learn about treatment options and discover how Home Dialysis Therapies can support you with your care decisions.